All drones between 0.55 and 50 pounds must be registered by Feb. 19, 2016, the U.S. Federal Aviation Administration announced on Monday. The fee will normally be $5, but until Jan. 20 that money is being refunded in order to encourage sign-ups. People will need to submit information including their name, home address, and email address, after which they'll receive a Certificate of Aircraft Registration/Proof of Ownership online with a special identification number. That number must be marked on a drone in case it's retrieved. Registrations will only technically open up on Dec. 21, but people can submit information now in order to speed up the process. Web-based submissions, at least, are being restricted to people aged 13 or older. After the February deadline, penalties will potentially be severe. Civil fines will range up to $27,500, and criminal penalties will scale up to $250,000 and as much as three years in prison. The current registration scheme covers only general civilian use of drones, not commercial drone operations. 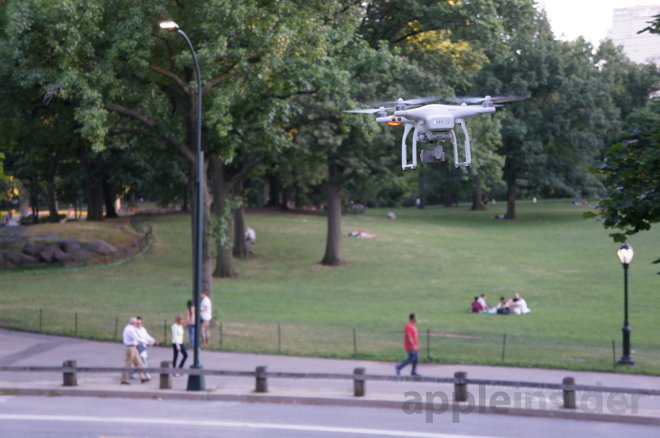 The FAA said it's preparing a commercial online registration system for spring 2016. Drones have proven a thorny issue for the FAA, with the organization trying to strike a balance between safety, security, privacy, and allowing their growth to continue. Some companies, most notably Amazon, have been waiting on the FAA to cement commercial rules so they can begin aerial delivery services.